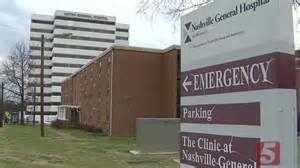 A Disgruntled Republican in Nashville: General Hospital request for additional subsidy jumps from $10 Million to $16 Million. In November, Metro General Hospital announced it would be seeking an additional $10 million subsidy from the city. This would have been the second $10 million cash infusion of this fiscal year on top of the regular $35 million annual subsidy. And, the regular subsidy has been increasing. In 2015 the regular budgeted subsidy was $27.6 million, increasing to $35 million in 2016. Now, Metro General has announced that they do not need an additional $10 million subsidy from the city, but $16 million! They say $6 in anticipated insurance payments did not come through. When is enough, enough? Following the first $10 million additional subsidy this year, Mayor Barry announced a third-party assessment of the hospital's finances and leadership structure. The City has also been holding weekly meetings with the staff to address the financial and management issues. From the response to the request by the city's finance director when the request was for $10 million, the administration was clearly displeased that the request was being made. To read about that request and the city's response as reported by The Tennessean, follow this link. Now, the request has jumped to a whopping $16 million. To read the Tennessean's report, follow this link. The mayor has again expressed her disappointment but has filed a resolution with the council requesting the money. Two million of the $16 million would be delivered to the hospital immediately and and the other would be held in reserve to be doled out as needed. The hospital must pay staff and vendors so the Council will have difficulty in rejecting the request. The Council could however, approve just enough to fund the immediate payment of bills and force the Hospital Authority to come up with a plan that will make the hospital viable. Unless changes are made the subsidy for General will continue to balloon. There has to be a limit! I hope that one of the few fiscally responsible conservatives in the Council would take to the floor and publicly state that it is time to privatize or close Metro General. 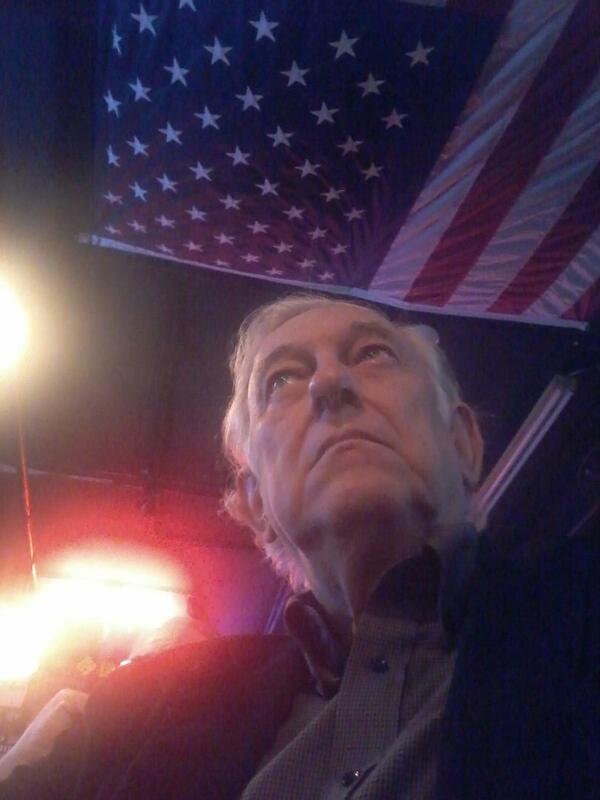 While we have a few Republicans in the Council, when it comes to the way they vote on any of the few issues where political philosophy should inform an opinion, more often than not, almost all of the time, they vote exactly like their progressive Democrat colleagues. This is an issue where those who identify as Republicans or conservative should take a stand. Metro General is the city's charity hospital. There is no charter requirement that the city fund such a hospital or no state requirement. Metro General is a money pit and is no longer necessary. I suspect the reason no one seriously considers getting out of the hospital business has more to do with the voting power of the Black community and pride of the Black community in having a Meharry Medical College in Nashville, than any real need. Funding Metro General is a way to subsidize Meharry Medical college. In my view, Metro Nashville needs to get out of the hospital business just as we got out of the nursing home business a couple years ago when we privatized Bordeaux Long-term Care and Knowles Home Assisted Living and Adult Day Services, saving the city $10.5 million a year. Metro General has been struggling for years. Many years ago there was a need for local governments to provide charity hospitals and many cities did. As healthcare changed and low income people no longer had to go to the charity hospitals but could go to the hospital of their choice, the justification for such safety net hospitals became less persuasive, but with government slow to change, many cities continued their funding of charity hospitals as did Nashville. Over time other changes occurred which made General even less viable, such as more people being treated as outpatients rather than being admitted into hospitals and length of stay in hospitals being shortened. A more recent change has been the impact of the Affordable Care Act (Obamacare). The Obama administration cut subsidies to hospitals that treat the uninsured. The logic for this was that more people would have insurance and there would be less need for the subsidy. This policy had lead to closing of hospitals, especially in rural areas, but has effected the income of all hospitals. Metro General Hospital opened as the City Hospital on April 23, 1890 as Nashville’s first full-service hospital. In 1891 the hospital started a school of nursing and in 1913 it opened a pediatric ward. The hospital grew and flourished until after World War II when admissions began declining. As more hospitals opened in Nashville customers had more choice. St. Thomas opened in 1898 and then Baptist Hospital, first known as the Protestant Hospital, opened in 1917. Park View which was the first in what was to became a chain of hospitals known as HCA opened in the mid 1960’s. Vanderbilt Hospital opened in the 1970’s and there have been numerous expansion and additions of other hospitals since then. Not only did more choice mean less demand for General, but when Medicare and Medicaid were signed into law in 1965 that meant that low income people could go to any hospital and not depend on city charity. By the 1990’s General was facing a crisis. Not only did low income people have choice, but General, dependent on Metro’s level of funding, did not have the resources to acquire the latest in technology and equipment. Also the building, by this time a hundred years old, was in need of rebuilding or major rehabilitation. Maharry Medical College was also facing a financial crisis in the late 1980’s and early 1990’s. In an effort to help both institutions, in October 1991 Nashville approved of a plan to merge the Meharry Hospital with Metro General. The merger phased out services at the Metro General Hospital site on the bluffs of the Cumberland, now known as “Rolling Mill Hill,” and relocated services to Meharry-Hubbard hospital. General Hospital became the teaching hospital for Meharry Medical School and metro heavily subsidized the 116-bed facility. General has had a difficult time competing with the many other hospitals in the area despite Metro’s generous subsidy. Despite Metro’s continued subsidy of the hospital, the hospital struggles to attract patients. All Metro prisoners are treated at Mehary-General and Metro employees are given an advantageous deal if they will use Meharry, and yet still the hospital struggles. In 2012 the city commissioned a study of Meharry-General conducted by the firm of Alvarez and Marsal. The study found that as currently operating Meharry General was not sustainable. One thing plaguing Meharry is that it cannot fill its beds. They only have an occupancy rate to about 42%, but even if they operated at full capacity they would have a per patient loss per day of $1,602. The per patient loss is higher with fewer patients, but the overall loss would be greater with more patients. This study is dated of course and I do not have current occupancy rates, but obviously things have not gotten better. A couple years ago, Metro spun off its nursing homes and saved the city $10.5 million a year. A city owned nursing home is as about as archaic as a city poor farm, yet ending metro’s ownership and operation of a nursing home was not without its opponents and yet the city did it. Even Megan Barry voted to privatize Boudreaux and Knowles. It is time for Metro to get out of the hospital business!